What makes the Shubb C2B Capo so special? For one thing, it's ingenious design: a patented locking action which provides an unrivaled combination of power, speed, accuracy and ease of use. One smooth flip of the lever locks it securely in place... and removes it just as quickly. Left unplated means that the brass capo will continue to darken with time giving it then classic retro look. For those who like their brass to shine, simply polish the capo with any commercial metal polish and a cloth to have it shining like gold. 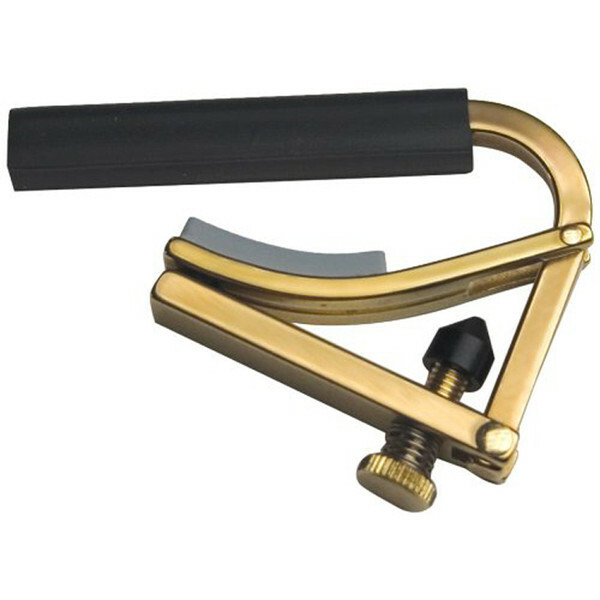 Precisely machined of unplated brass and carefully hand assembled, a Shubb capo is manufactured without compromise. Simply holding one in your hand conveys a sense of quality. Snapping it solidly onto a guitar neck, and then removing it, all within about one second, will confirm its reputation for excellence.